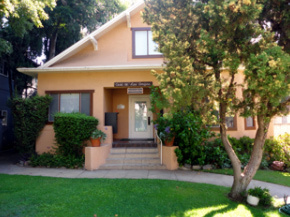 The Residential Treatment program at Casa houses up to 22 women at any one time who stay with us from 30 up to 90 days. During this period of recovery, women work closely with an individual counselor to better understand their personal needs, goals and progress. Residential Treatment participants are given guidance on basic life skills, such as nutrition, cooking, physical exercise, holistic health practices and decision-making. They learn to participate in their own recovery by attending mandatory onsite groups and social activities. When possible, participants work with sponsors outside of treatment who can also take them to outside meetings where they learn to connect with other addicts in recovery outside our facility. Each counselor strives to identify high-risk, co-occurring disorders, such as anorexia, bulimia and depression as well as physical, mental and sexual child abuse, all of which have the potential to cause regression or relapse if left unaddressed during residential treatment. When these potentially high-risk issues are identified each woman is linked with an individual therapist. Family members play an integral role in participants’ success and also receive the benefits of healing as women complete the treatment and recovery process. Families are educated about the disease of addiction and encouraged to share their own feelings and struggles while taking part in discussion groups, activities, educational lectures, speakers meetings and group sharing sessions. These programs are mandatory for all family member visitors of Residential Treatment participants. Family dynamics, communication, trust, addiction as a family disease, Al-anon principals and 12-step principles for recovery are key components of our Family Counseling and Education programs.